(3) PLANETS ANNIVERSARY. NPR commemorates an influential musical work — “‘The Planets’ At 100: A Listener’s Guide To Holst’s Solar System”. 100 years ago, a symphonic blockbuster was born in London. The Planets, by Gustav Holst, premiered on this date in 1918. The seven-movement suite, depicting planets from our solar system, has been sampled, stolen and cherished by the likes of Frank Zappa, John Williams, Hans Zimmer and any number of prog-rock and metal bands. To mark the anniversary, we’ve enlisted two experts to guide us on an interplanetary trek through Holst’s enduring classic. Next, someone who knows the real planets. Heidi Hammel is a planetary astronomer who specializes in the outer planets, and the executive vice president of AURA, the Association of Universities for Research in Astronomy…. Filers will remember that Jubal Harshaw used the Mars movement as Valentine Michael Smith’s anthem in Stranger in a Strange Land. Since we’re talking movies, what about the “Imperial March,” perhaps the most recognizable music John Williams wrote for Star Wars? I played a clip of it for Oramo as we discussed Holst’s music. (4) SHORT FICTION MARKET, QUICK TURNAROUND. Over on Gizmodo, io9 is looking for short fiction on the subject of “the Future of Death.” They want pieces of speculative fiction (not horror) shorter than 2000 words and promise rates starting at 50¢ a word for first publication rights plus a 90-day exclusive window. The submission deadline is 25 October. Perhaps death has become a thing of the past—for some humans, at least. Maybe a newly sentient AI must decide whether to program some form of death into its universe. Whatever the premise, we’re looking for creative takes on what it means for an object or entity to cease to be. We’re most interested in futuristic and science fiction-infused tales; no gore or straight horror, please. 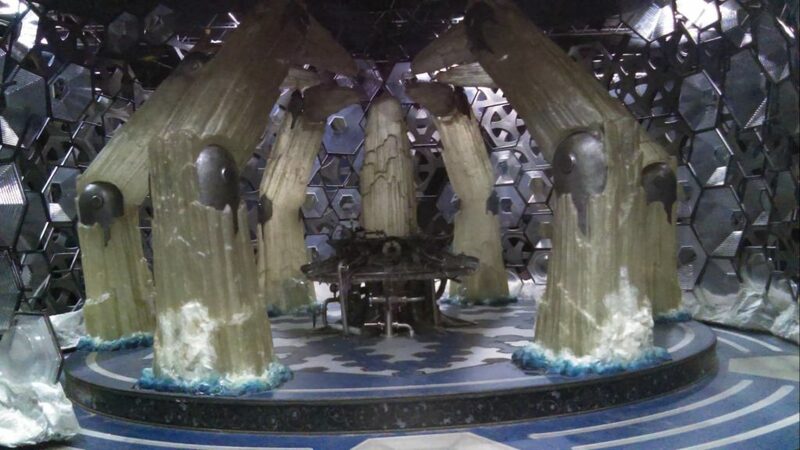 …To submit, please email a short summary (a few sentences will do) of the scope and plot of the story, as well as links to any other published work you’d like for us to see, to fiction@io9.com. Please include your story as an attachment. (5) PEOPLE AT NASA WHO LOVE SFF. In a lengthy (well, for today’s short attention spans anyway) article on CNET, Amanda Kooser talks to several NASA scientists, including an astronaut, about their connections to and love of science fiction (“When NASA meets sci-fi, space adventures get real”). A love of science fiction threads through the space agency, and it’s also part of NASA’s public outreach. The agency has sought out exoplanets that mirror Star Wars planets, sent scientists to commune with fans at Comic-Cons and partnered with William Shatner, Capt. Kirk of the original Star Trek, to promote the Parker Solar Probe. I talked with some of the people of NASA who hunt for asteroids, study dwarf planets and actually step out into the blackness of space, and together we roamed across a shared universe of science fiction. Kooser talks with astronaut Mike Fincke (381 days on orbit) who also has an appearance on Star Trek: Enterprise on his resume. Marc Rayman, director and chief engineer for the Dawn mission, talks of reading Asimov’s “Marooned off Vesta” as a child and now overseeing a spacecraft that has actually been to Vesta. Amy Mainzer, who was the principal investigator for the asteroid-hunting mission Neowise, says, “science fiction has always been about thought experiments and letting you see a vision of the future and trying out ideas.” Tracy Drain’s current focus is the upcoming mission to visit the metal asteroid Psyche; she’s a second-generation fan, getting the love of science fiction from her mother. (6) SECOND CAREER CHOICE? Mashable has the clip from Wednesday’s episode of The Late Show with Stephen Colbert where Colbert has New Zealand Prime Minister Jacinda Ardern as a guest. Among other things, he asks if she was in the Lord of the Rings or Hobbit movies (“Of course, New Zealand’s Prime Minister tried to get a role on ‘Lord of the Rings’”). Jacinda Ardern dropped by The Late Show with Stephen Colbert on Wednesday night, revealing that she had been knocked back for a role on the movie, as she lived close to where the films were shot. The two also discussed whether Colbert could become a citizen of Hobbition. 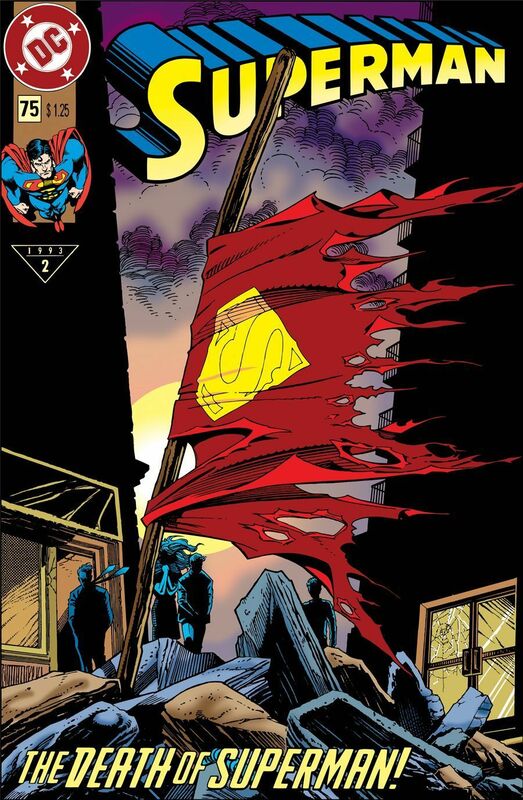 No key to the city is involved, but he’d get a mug. Ms. Ardern did say Colbert would need to visit New Zealand to make it official. (7) NO SH!T SHERLOCK. Here’s a mystery – who cast Will Ferrell and John C. Reilly in a Sherlock Holmes movie? (8) MARTIN-SMITH OBIT. New Zealand fan Sue Martin-Smith died September 23 reports SFFANZ’ Ross Temple. Born September 29, 1810 – Elizabeth Cleghorn Gaskell, Writer. Much to my surprise, this English author who was not known for her fantasy writing – to say the least – had two volumes of The Collected Supernatural and Weird Fiction of Mrs. Gaskell published by Leonaur, a U.K. publisher more known for serious history works. Her The Life of Charlotte Brontë, published in 1857, was the first biography of Brontë, so these tales are quite unexpected. Born September 29, 1927 – Barbara Mertz, Writer under her own name as well as under the pseudonyms Elizabeth Peters and Barbara Michaels. While she was best known for her mystery and suspense novels and was awarded Grandmaster by both Bouchercon’s Anthony Awards and the Mystery Writers of America, a significant number of her works are considered genre, including the supernatural Georgetown Trilogy and the novel The Wizard’s Daughter. Born September 29, 1940 – Peter Ruber, Writer, Editor, and Publisher of many works written by Arkham House founder August Derleth between 1962–1971, some under his own Candlelight Press imprint, and researcher of Derleth’s life and time for nearly forty years. He became the editor for Arkham House in 1997, after Jim Turner left to found Golden Gryphon Press. Born September 29, 1942 – Madeline Kahn, Oscar-nominated stage and screen Actor, Comedian, and Singer who appeared in many Mel Brooks movies including Young Frankenstein, the sci-fi comedy Slapstick of Another Kind based on the Vonnegut novel, and several episodes of Sesame Street and The Muppet Show, before her life was tragically cut short by cancer at the age of 57. Born September 29, 1942 – Ian McShane, 76, Actor of English/Scottish heritage who has appeared in many genre TV series and movies, including the John Wick films, The Twilight Zone, Space: 1999, American Horror Story, Game of Thrones, and currently has a lead role as the con artist god Odin in the series based on Neil Gaiman’s American Gods. Born September 29, 1944 – Mike Post, 74, Composer, winner of numerous Grammy and Emmy Awards and best known for his TV series theme songs (many of which were written with partner Pete Carpenter), including the themes for The Greatest American Hero and Quantum Leap. Born September 29, 1954 – Cindy Morgan, 64, Actor best known for the dual roles of Lora and Yori in TRON, as well as roles in science fiction B-movies Galaxis and Amanda and the Alien. Born September 29, 1971 – Mackenzie Crook, 47, British Actor, Comedian, Writer and Director known as the comic relief in the Pirates of the Caribbean movies and the Warg Orell in Game of Thrones. He collected Star Wars figurines as a child, and is now immortalized in plastic as a six-inch-high pirate action figure. Use the driver you should… In the Bleachers. And B.C. has an editing pun. (11) SCIENCE FICTION FROM THE FRINGES. And now an entry from the “science fiction is d@mn near everywhere” department: Women’s Wear Daily brings news of two actors at the Elie Saab fashion show discussing their latest genre projects (“Roxanne Mesquida, Paz Vega Talk Science Fiction at Elie Saab”). (13) CBS SHUTS DOWN TREK FAN PROJECT. Reports have surfaced that a fan-made VR recreation of the Next Gen era Enterprise has been scuttled by a legal threat (EuroGamer: “Cease and desist forces impressive fan recreation of the Enterprise from Star Trek: The Next Generation to self destruct ‘The line must be drawn here. This far, no farther!’”). A fan-made recreation of the Enterprise from Star Trek: The Next Generation has been pulled offline following a cease and desist. Stage-9 was a two-year-old fan project that let users explore a virtual recreation of the Enterprise-D, the spaceship made famous by The Next Generation tv show. … Then, on 12th September, the cease and desist letter from CBS’ lawyers arrived. The decision was made to put all of the Stage-9 public-facing channels into lockdown while the team tried to convince CBS to change its mind. They suggested tweaking the project to ditch the inclusion of VR, ditch the use of the Enterprise-D specifically and even change the name, but CBS insisted Stage-9 end. (15) THERE’S A HOLE IN THE ISS. RT sums up the latest developments — “ISS hole saga’s new twist: More drill scratches discovered on outside hull”. …It was initially thought (let us leave conspiracy theories behind) that the air leak, which was discovered in late August on Soyuz spacecraft docked at the ISS was caused by a micrometeorite. Later on, Russian media revealed the drill hole was made on the ground by a reckless assembly worker – he was identified and properly sanctioned, we were told. (16) TIM ALLEN ON CONAN. Don’t go to a superhero movie with Tim Allen. Tim doesn’t understand how the Hulk’s pants still fit when he grows. 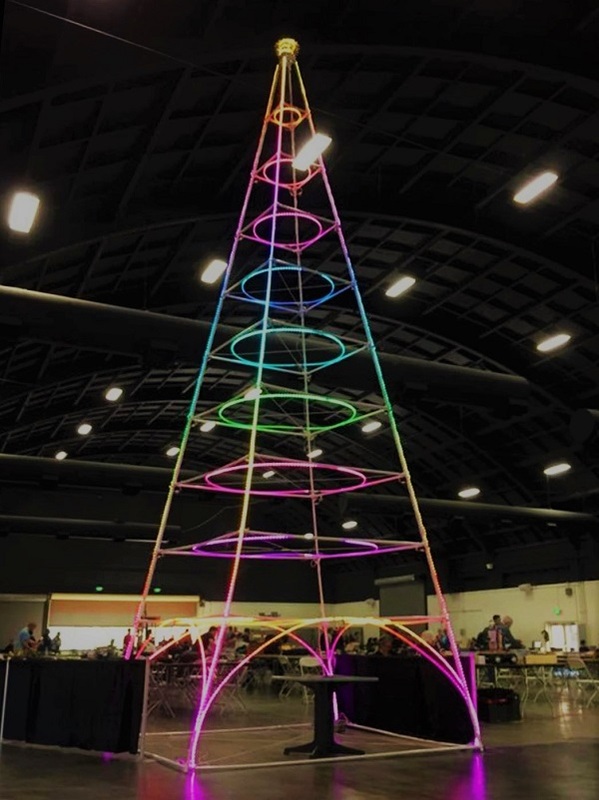 Worldcon 76 Chair Kevin Roche used his crafting and electronics skills to build a 1/10th scale model of the San Jose Electric Light tower. Please feel free to add links to more Worldcon 76 goodness in the comments. 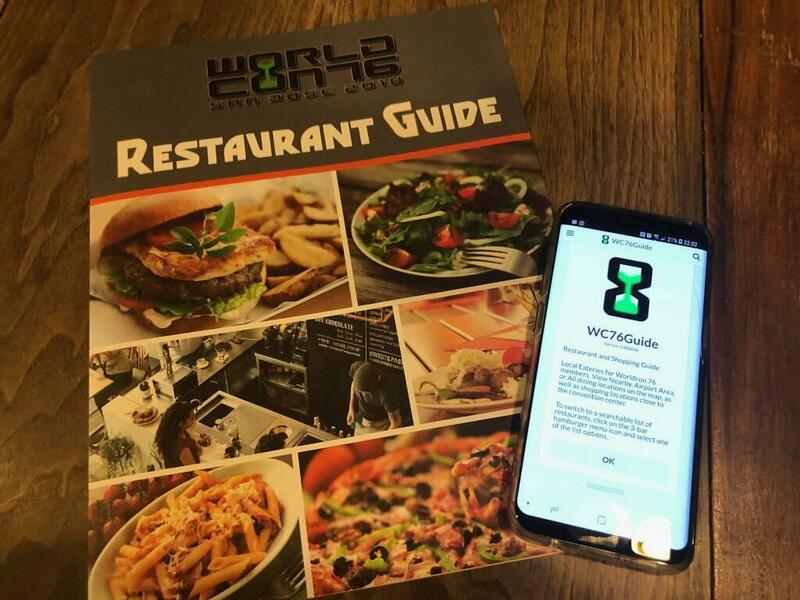 Seen anything to comment about while you’re out and about at Worldcon 76 on Sunday? Business meeting? Hugo ceremony tonight? Chime in! By Chris M. Barkley: Today, as of Noon today, EST, I formally ask that the proposal to add Ursula K. Le Guin’s name to the Lodestar Award be withdrawn from consideration at the Worldcon 76 Business Meeting. After consulting with the late author’s agent, Ginger Clark, and Theo Downes-Le Guin, her son and literary executor and myself, we came to the conclusion that pursuing this action would not be in the best interests of the award or the late Ms. Le Guin. As the maker of the proposal, I want to state that I am appalled at the negative reactions towards my motives in putting forth this idea and the intensely personal attacks directed towards myself and the co-sponsors of the proposal which led us to this unfortunate decision. I want to apologize to my co-sponsors, Robert J. Sawyer, David Gerrold, Steven Silver and Juli Marr, for any inconvenience or discomfort they may have suffered at the hands of the discontented fans during the past week after the official announcement of the proposal. Although I take full responsibility for the failure of this effort, I am neither ashamed by my advocacy of this particular proposal nor am I unbowed by the end of this effort. Despite this setback, I remain a staunch supporter of the Young Adult Book Award, the Hugo Awards and the World Science Fiction Society. Ursula K. Le Guin in 2013. Photo by R. Durburow. The amendment to add the Lodestar Award for Best Young Adult Book to the WSFS Constitution was first ratified last summer at the 75th World Science Fiction Convention in Helsinki, Finland by the members of the Business Meeting and must be ratified a second time at this year’s Worldcon in San Jose, California to begin its official trial run as a category. The nomination period for the Hugos, Lodestar Award for Best Young Adult Book and the John W. Campbell Award for Best New Writer opened this past February 5th. We, the undersigned, wish to congratulate the various YA Committee Members for reaching a consensus with their diligent work in crafting the parameters of the YA Award for the World Science Fiction Convention. However, we also think that the name of this new award should have a name which not only should be universally recognizable, but have an equivalent weight to the name of John W. Campbell, Jr.
We, the undersigned, will respectfully submit a new name for the Young Adult Book Award at the Preliminary Session of the Worldcon 76 Business Meeting on August 17th, 2018 as a strike though substitution for the name ‘Lodestar’, under the rules governing the WSFS Business Meeting. This proposal was signed by myself, my partner Juli Marr and several other prominent authors, editors and members of fandom. All of this was done with good will and the best intentions. But by the end of the evening, there were a great many people who, if they had the time, inclination and opportunity, would have my head on a nice, long pike like poor Ned Stark. They chose instead to take a torch to my reputation in fandom, challenge my integrity and the very nature of the proposal. How did this happen? 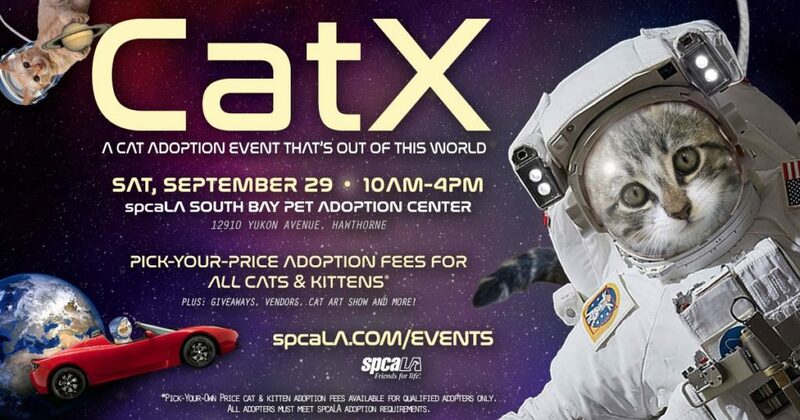 And more importantly, why is this being announced now, less than two weeks before the 76th Worldcon in San Jose? To understand what happened and explain my actions in any sort of sensible context, I must go back to the origins of the Best Young Adult Book Award. I would not call the page an overwhelming success because the number of members topped out at around 250 people. But what we lacked in numbers we made up in our enthusiasm about establishing a Young Adult Hugo award category. I made recommendations to the committees of Reno Convention in 2011, Chicon 7 in 2012 and San Antonio in 2013 to no avail. But our persistence finally caught the eye of the Loncon Business Meeting in 2014, which set up a series of committees to study the concept and make recommendations. While I was in the mix for the first committee, I dropped out due to personal concerns, mainly to deal with the failing health of my mother and father. The members doing a majority of the heavy lifting were Katie Rask, Dave McCarty and Kate Secor. Without their diligence and hard work, the YA Award would have been dead on arrival. One of the many choices that were eventually agreed upon by the committee was to establish the new category as a companion award to the John W. Campbell Award for Best New Writer and not as a Hugo Award. Their reasoning was that making a new category for novel length should be done separately to avoid any confusion or conflict with the Best Novel category. While I disagreed with their decision, when it came time to debate and vote on their recommendation at MidAmeriCon Business Meeting in 2016, I wholeheartedly endorsed their proposal, which was passed by a majority of the members present. But there were some unusual elements of that first passage of the amendment in the Finland Business Meeting (which requires votes by consecutive Business Meetings to become part of the Constitution) was made with the wording incomplete, including a name for the new award. At this year’s Business Meeting in San Jose there will be the final ratification vote for what is being called the Lodestar Award for Best Young Adult Book. I must admit that I was never really that enamored of the name “Lodestar” as the name for this award. Mind you, other names were bandied about, including the names of living and dead authors before they chose Lodestar. Andre Norton and Robert Heinlein were already taken. Many were reluctant to consider an obvious choice like Madeline L’Engle because of her reputation as a overtly “Christian” fantasy writer. Octavia Butler was another great choice but she was passed over. Other notable writers of young adult fiction like Jane Yolen, Tamora Pierce and Ursula K. Le Guin were still among us and rejected for consideration. The decision seemed final and I was quite content to let it go at that. But on January 22, 2018, Ursula Kroeber Le Guin passed away at the age of eighty-eight. Her death was a shock to the entire community because nearly all of her fiction and non-fiction were being issued in new editions and she had just published a new book of essays, No Time to Spare: Thinking About What Matters, in December of last year (and nominated in the Best Related Work category this year). It was while I was attending Capricon 38 and participating in a panel obliquely called “Obligatory Discussion of New Hugo Award Categories,” that I first thought trying about changing the Young Adult Book category. And thought was not born out of malice towards the name Lodestar, seeking the spotlight for myself or upstaging the work of the committee that helped create it. My thoughts were mainly on the family of Ms. Le Guin and the legacy of John W. Campbell, Jr. Although I was grieving along with her family and readers around the world, I also saw this as the perfect opportunity to honor her lifetime of works, especially her young adult Earthsea series and the Annals of the Western Shore. Then there is the matter of her illustrious career and awards; Ursula Le Guin was the Professional Guest of Honor at the 33rd World Science Fiction Convention in 1975 (AussieCon), was the recipient of the Lifetime Achievement Award from the World Fantasy Convention in 1995, a member of the Science Fiction Hall of Fame (2001), named a Grand Master by her peers of the Science Fiction and Fantasy Writers of America (2003) was the first woman to win a Hugo and a Nebula for Best Novel (The Left hand of Darkness, 1970) and the first to do it twice ( for The Dispossessed, 1975). In addition, she was nominated for a total of 42 Hugo Awards and Nebula Awards and won six of each, won 19 Locus Awards, a 1973 National Book Award for Young People’s Literature (The Farthest Shore), was named as a “Living Legend” by the Library of Congress for “her significant contributions to America’s cultural heritage” and two awards in 2004 from the American Library Association for her lasting contributions to young adult literature. As you may have noted, her defense of and praise for her fellow writers of fantasy and sf and her veiled damnation Amazon and her own publisher were not well received. And it did not matter a bit to her; she wore her convictions and informed opinions proudly on her sleeve for all to see. John W. Campbell, Jr. is still revered in this day and age as one most influential writers and monolithic editors of the 20th century science fiction and fantasy literature. 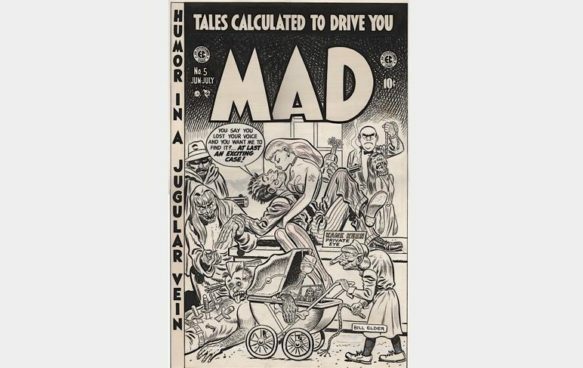 I think we can safely surmise that that without him, the development of modern science fiction and fantasy literature may have been slowed or stunted. And while we all owe him a measure of gratitude for what followed in his wake, we also cannot overlook his insensitivity towards writers of color and the public displays and editorial statements of racism. If we are to continue to honor Campbell’s name in this fashion, then I have no doubt whatsoever that the name Ursula K. Le Guin name should adorn this award we are establishing to honor the best young adult book of the year. After concluding that this was the course of action to take, I sought out a number of fans at Capricon, including a member of the committee that helped write the YA amendment. To a person they all concurred that this was an excellent idea. Returning home, I immediately wrote out a constitution amendment to facilitate the name change. When I sent a copy to the eminent parliamentarian and esteemed Business Meeting Chair emeritus Kevin Standlee for an appraisal, he pointed out that a name change as an amendment would be a known as a “greater change”, which, if it were passed by the assembly, would be the start of another two year cycle of voting for it to be ratified. Mr. Standlee then pointed out that if the name change was presented as a substitution of language (by presenting by striking out the old language and substituting a revised version) it may be considered in tandem with the amendment under review. Having found the proper way to submit the addendum to the San Jose Business Meeting, I was ready to email the substitution for submission to the agenda. But I hesitated because I was lacking two things; sponsorship from others and more vitally, expressed permission from the Le Guin family. I decided that contacting the family had priority so one month to the day after the death of Ursula Le Guin, I reached out to another prominent fan, who in turn led me to the author’s agent, Ms. Ginger Clark of the Curtis Brown Agency, Ltd. I realize that I am writing to you on the one month anniversary of our loss of Ms. Le Guin but I have an urgent matter that I must bring to your attention. 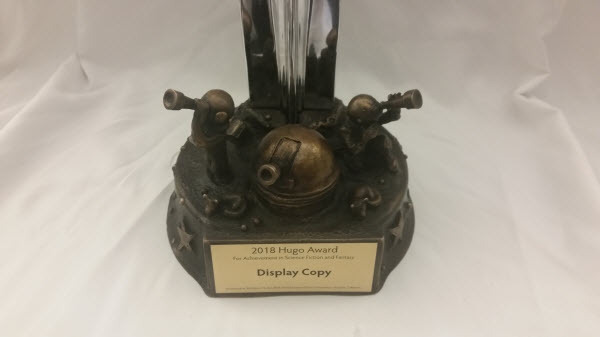 As a member of the World Science Fiction, I have been at the forefront of making the Hugo Awards fair, competitive, engaging and most importantly, relevant in the 21st century. I’ve been working since 2010 to establish a Young Adult Book category. After some considerable struggle, a YA category was finally created at the Worldcon past August. As you might imagine, there was some considerable discussion about who, or what, to name the award after. Of course, Ms. Le Guin’s name came up but there were objections from a majority on the standing committee exploring the issue (but not from me, mind you) about naming the award after a living person. In the end, they decided on the name, Lodestar. The late Ms. Le Guin was one of the brightest stars in modern literature. 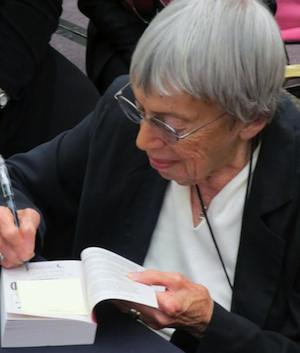 I, and a few other friends, would like to honor her by naming our new YA award after her; the Ursula K. Le Guin Earthsea Award for Best Young Adult Book. 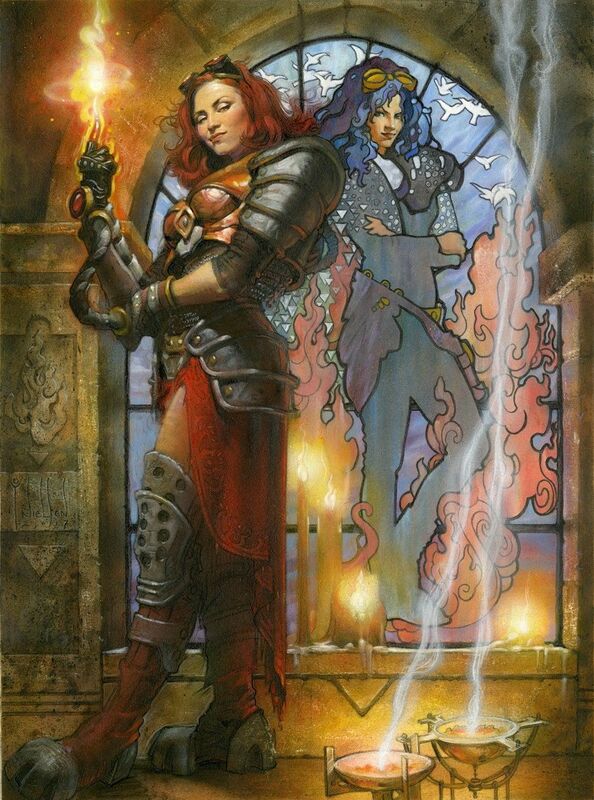 At the moment, I have no way of contacting the family and I would like to seek their permission before submitting her name to the San Jose Worldcon Business Meeting for a ratification vote in August, which I think will have no trouble at all passing. On February 26, I received a reply from Ms. Clark, who thanked me for the email which she passed along to the family. On the afternoon of March 2nd, I received an email from Ms. Clark stating that the family approved the use of her name and the name Earthsea (although she pointed out that the name Earthsea was trademarked and may be a factor on my decision to use in the title of the award. As a matter of fact, it did; I had some very serious doubts that the members of the Business Meeting would want to bother with a trademarked name so I dropped it from the proposal. And, I reasoned, it would be in incredibly bad form to jettison the name Lodestar, a name the committee worked very hard to come up with in the first place. But a short time after the confirmation email, Ginger Clark threw me a curveball; she was under the impression that I was putting her name out publicly closer to the convention in early August, and definitely not in March, which was NOT what the family wanted. And I can see the reasoning behind this request; the family was still in mourning and waiting until August would give the family enough space to grieve. Out of respect for the family, I emailed Ms. Clark with a solemn promise not to reveal officially Ursula K. Le Guin’s name under any circumstances until August and the addendum was submitted. So I was faced with a paradoxical dilemma; how could publicize a name change without naming the person we were going to honor? I contacted Kevin Standlee to see if the addendum proposal could be embargoed for a few months but he immediately replied with a firm no, the items up for discussion were open for scrutiny at all times. After consulting with my partner Juli for several days, we came up with a (somewhat ingenious) plan; we will recruit a all-star lineup of co-sponsors, explain that we were going to honor Ursula Le Guin by inserting her name into the new award, swear everyone involved to secrecy and issue a press release teasing of reveal of the name in August, right before the convention. Well, I dipped into my list of Facebook contacts and I did recruit a stellar group of writers, editors and fans to co-sponsor the addendum and explaining clearly (or, so I thought at the time) that the process will play itself out at the convention and that their sponsorship would be a key element in ensuring its passage. On Tuesday evening, March 6th, I sent the press release above to Mike Glyer for immediate release on the File 770 website. We then proceeded to go out to dinner and play several round of Buzztime Triva with some close friends. What, Juli and I thought at the time, could possibly go WRONG? As it turned out, almost EVERYTHING went wrong. Almost immediately, one prominent author was inundated with curious and/or angry emails, text and Facebook messages demanding why she would be involved with such fannish chicanery? She immediately spilled the beans about what and who of the whole affair on her Facebook page. From her page the word spread like wildfire over social media. She messaged me an hour after the press release was published and asked to have her name removed as a co-sponsor. For several days, I was pilloried and flamed on every social network platform. Or, that’s what friends reported back to me because I did neither read nor reacted to any way of the negative commentary thrown my way. If I had, I’d still be fighting and responding to EVERY SINGLE REPLY. I also did not respond because I made a promise to the Le Guin family not to officially reveal her name as the subject of this project on the record, TO ANYONE, until the addendum was submitted to the Business Meeting. But, as badly as the news was received in some fannish circles, the proposal actually did elicit some support with some people, which gave me some hope that the storm over this may pass in time. And, looking on the bright side, everyone was debating this open secret drawing their own opinions and conclusions. I am checking in with you one last time since the deadline for proposing a name change at the Worldcon is next Thursday. The text of the name change has been written and a follow up column for File 770 officially explaining why the Young Adult Book Award should be called the Ursula K. Le Guin Award will be presented. If the family has any second thoughts or concerns at this point, PLEASE contact me (or have a family representative do so) as soon as possible. On July 30th, Ms Clarke replied that the family had no second thoughts, wanted me to proceed with the submission of the addendum and wished us Good Luck! So, on Tueday August 1st, a day before the deadline for the New Business deadline, the following was submitted to the Worldcon 76 Business Meeting for discussion with copies sent to all of the co-sponsors. 3.7.3: Nominations shall be solicited only for the Hugo Awards, the John W. Campbell Award for Best New Writer, and the Lodestar Award for Best Young Adult Book. 3.10.2: Final Award ballots shall list only the Hugo Awards, the John W. Campbell Award for Best New Writer, and the Lodestar Award for Best Young Adult Book. 3.3.18: Lodestar Award for Best Young Adult Book. The Lodestar Award for Best Young Adult Book is given for a book published for young adult readers in the field of science fiction or fantasy appearing for the first time during the previous calendar year, with such exceptions as are listed in Section 3.4. 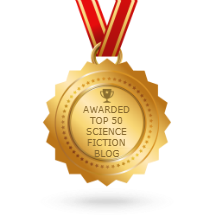 3.7.3: Nominations shall be solicited only for the Hugo Awards, the John W. Campbell Award for Best New Writer, and the Lodestar Ursula K. Le Guin Lodestar Award for Best Young Adult Book. 3.10.2: Final Award ballots shall list only the Hugo Awards, the John W. Campbell Award for Best New Writer, and the Lodestar Ursula K. Le Guin Award Lodestar for Best Young Adult Book. 3.3.18: The Lodestar Ursula K. Le Guin Award Lodestar for Best Young Adult Book. The Lodestar Ursula K. Le Guin Lodestar Award for Best Young Adult Book is given for a book published for young adult readers in the field of science fiction or fantasy appearing for the first time during the previous calendar year, with such exceptions as are listed in Section 3.4. The YA Committee is to be congratulated for their diligent work in crafting the parameters of the YA Award for the World Science Fiction Convention. 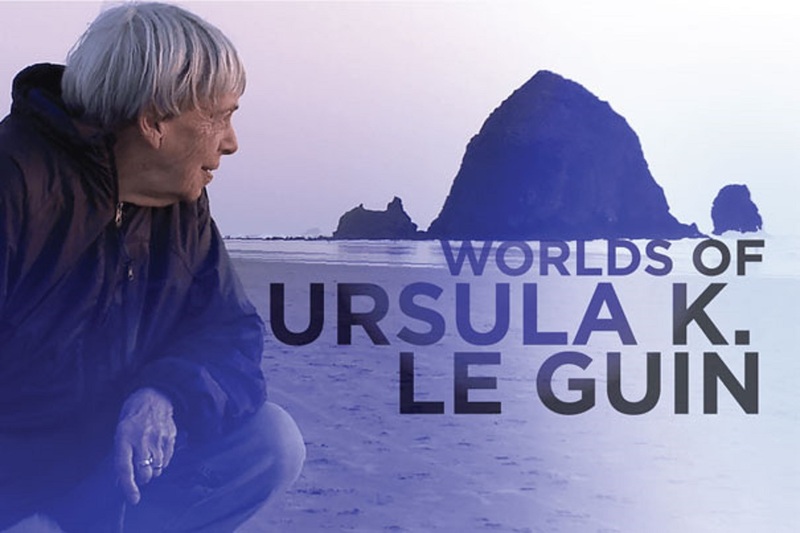 However, we the undersigned see an opportunity to honor the work, legacy and memory of Ursula Kroeber Le Guin by re-naming this new award after her. Thusly, she will be known and connected in perpetuity with the Hugo Awards Ceremony and the World Science Fiction Convention. We are also of the opinion that such a award must have a name of important stature, just as the other non- Hugo Award category, the John W. Campbell Award for Best New Writer. The proposers of this change wish to thank the Le Guin family for their consent with a special acknowledgement to Ginger Clark, the literary agent of the Le Guin estate for her help in facilitating this historic agreement. Proposed by Juli Marr (Attending Member), Chris M. Barkley (Attending Member), Robert J. Sawyer (Attending Member), David Gerrold (Attending Member) and Steven H. Silver (Attending Member). In closing, I would like to thank my co- sponsors, Robert J. Sawyer, David Gerrold, Steven H. Silver and my One True Love, Juli Marr.